On December 9 2016, I dreamed two informants told me there was going to be a false flag event within hours that would trigger martial law, so I began to warn my family. Some of them did not seemed convinced, but they decided to listen to me anyway. I led them outside and they went to safety. Then I went back upstairs to retrieve two of my sons, who were asleep. When we got outside and were ready to leave the area, I noticed a soldier dressed in military attire. He seemed like he was somewhat cordial, however I could tell he had full authority and was not afraid to use it. Immediately, I feared that it was too late to leave. When I looked around, I saw two more soldiers who were giving orders to everyone. Martial law was officially here. I suddenly woke up with my heart pounding. However, for some reason, I had a feeling that the dream was not yet finished. I fell back to sleep, and like I thought, the martial law dream continued. The citizens didn’t seem to know everything that was expected of them, because it was not yet fully defined, however I knew there were movement boundaries and that more restrictions would be tacked on very soon. It was quite apparent that driving was limited to only a few and that this restriction was permanent. Because of the unknown, people’s fear was very heavy and almost tangible. My neighbors were a respected couple who we actually know in real life, however the husband seems to be always very annoyed by my end-time warnings. In this second dream, my wife was reunited with me somehow, and we were covertly talking to the neighbor’s wife about what was happening. I noticed her husband was trying to hide himself behind his wooden fence, not willing to face me. I looked behind the fence and when he looked up at me, I saw shame all over his face. I knew his shame was not because he was caught hiding, but because he had now realized it was truly God who had showed me these things were coming upon this nation. Freeman Fobbs became a Christian in 1995 while serving in the Army at Fort Bliss Texas. The Lord gave him a passion for the nation of Israel, which resulted in him hosting pro-Israel meetings. He began hearing from the Lord through visions, dreams, and words of knowledge around that time as well. Thank you for sharing this dream. It concerns me because I feel in my heart that “all is too quiet” in a country that has serious systemic, spiritually-rooted problems. Obama is far too congenial, and I just don’t buy it. If I had to describe it, it’s a feeling of wading through placid-looking water, having already been advised that it’s an alligator pond. There is a difference between fear versus an awareness that you have been warned and have a choice of either taking that warning seriously or not. I had pondered if anyone had been given a recent dream of martial law, and here comes this post. 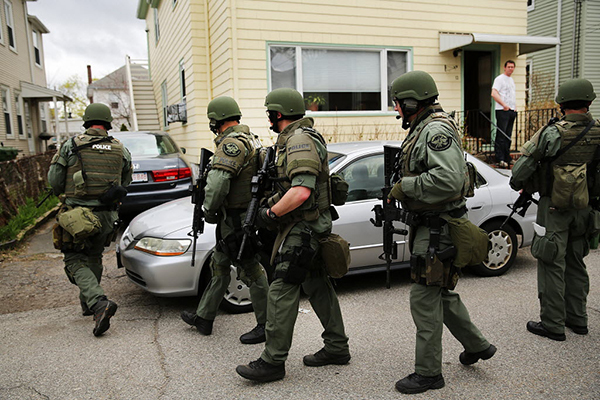 Thank you, Mark Bechara, for sharing that you and your wife have also had martial law dreams. So many that I know have completely let their guard down, since the election, and they do not see what it is coming. Thank you for sharing, Michelle Gibson…Why would the L-rd give so many of his children martial law dreams? I think we know the answer to that question. So, from whom is the US military protecting Trump? Reminds me of the movie “the Peacemaker”. Hunting for nuke in NYC. The air asset hunting for the nuke signiture and the ground forces trying to locate it exactly. I believe your dream is spot on and it’s not far now from becoming a reality. Sadly, most won’t understand how this could possibly have happened. I agree with Sephora that Obama is being too cordial and it is eerily quiet, which usually signals something sinister is in the works behind our backs and about to unfold. Anna, I too feel like the timing is close. It’s a feeling I have not been able to shake. Sephora , I am in complete agreement with you and anna ! I cant shake the feelings of the eve of destruction . Amen, John Barry…the feeling was so unshakeable until it literally drove me back to z3 after a long absence, to see if anyone else concurred. Most people I know are soundly asleep and do not wish to be awakened (smile). I stay silent too Sephora , but where else can we go but Z3 to get a good cross section of brothers and sisters , events as they build will draw us even closer for support as a family I believe . Blessings ! I keep getting this idea that something is going on behind the scenes. It is like the calm before the storm. I think the traders that are so fiercely entrenched in our government are violently enraged about Trump winning the election. I feel like there are plans being made for something. They are not giving up. It is like Satan himself is totally going mad like a caged wild animal. These traders are some of our Senators and Congressman. They’re right out in the open. They are not working for us, they are working for something diabolical. Rick Wiles said today on Trunews that this could come down to a confrontation between the CIA and the military if these elites try to steal the election or postpone the results claiming that the Russians interfered with our election. If the Russians were the ones who hacked into our computers why would they leave their fingerprints? John Bolton said it could be a false flag that anybody could have done in an attempt to implicate the Russians. If anyone is guilty it is Hillary who left her computers less secure than gmail and was hacked 30,000 times or more that the Obama administration still has made no effort to correct. It’s been the CIA who has made regime change an art form over the past 70 years and the Brits before that. I am reminded that Matt Smith said in his 9th stanza that Jade Helm would return in the fall which is over in 8 days . “The 9th stanza does not say we will have martial law before September is finished. Instead, it says Jade Helm will come to life again. “These events are setting the stage for martial law coming either before the election or soon afterwards, which could be anytime from now until the time of the Presidential inauguration in January 2017. The reality of martial law is far more serious this year than it was last year. And as far as that repentance that would be required to prevent these events, perhaps I should keep better company (smile), but I’m not seeing great repentance flowing through the land…Or, perhaps, I am mistaken and need a better pair of glasses, to improve my vision (smile). And, in regards to the above quote referencing January 20, 2016…Surely, the author meant January 20, 2017. That’s interesting, John Barry…I have no idea who Matt Smith is, but I’m interested to see how this plays out, in terms of timing. Matt Smith is Z3 Family. This is the link to his prophecy. Interesting dream, Freeman. You mentioned that the husband seems to always be very annoyed by your end-times warnings. It reminds me of a word from the lord just received December 10th posted by Marques McBride. Transcript and link below. Wow, there are too many confirmations about the asteroid coming soon to the earth. Many in South America and the Caribbean have posted videos recently on Dec 10, 11, 18 and 19 on you tube about the asteroid. A guy from Chile even said it will happen before the year ends. Another guy saw many many buses after the asteroid hit. He saw military men and police officers getting people out of their homes. But, they were asking people which religion they practice. If they were Christian they were told to get on the bus. Persecution is coming soon to America. Thank you, brother Freeman. Over 6 years ago I had a dream. I was in a camp. Somehow I knew it was run by Muslims. I knew they were about to interrogate me about my faith. And I also knew—“this is it.” I had another very short dream in which people were running from the cities out into the countryside trying to hide from whomever behind bushes, trees, thickets—taking their children’s hands heading for the underbrush. Since then I’ve tried to post warnings on Facebook, but of course many or most think you’ve lost your mind. But I don’t think so. You’re welcome Bro Jesse. Just stay on the wall brother. Blessings!!! This is confirmation to what Superstation95 sources reported today and also Rebecca Stirling said in a program with True News. Obama will announce that the election was rigged using Russia as a scape goat. Then total lawlessness and chaos will break out and Obama will announce that the election will need to be put off as he declares Continuity of Government(COG). Check it out also on Supertation95 or google it. Rebecca Stirling also recieved this vision in 1999 but aired it on True News. This is totally crazy. Also watch planet x ( google something terrable will happen this month-invasion the end of the road.) It ties it all together. The elites plan, but God is in control and will win in the end. I am glad that I am on the winning team.